What Got Gathered’s Fall Brunch! After our spring launch dinner, everybody asked us when the next meal would be. As promised, we’re doing another one next month–this time, a multi-course brunch, again featuring foraged ingredients in most or all of the dishes, and with some plates designed to feature our live-culture hot sauces. 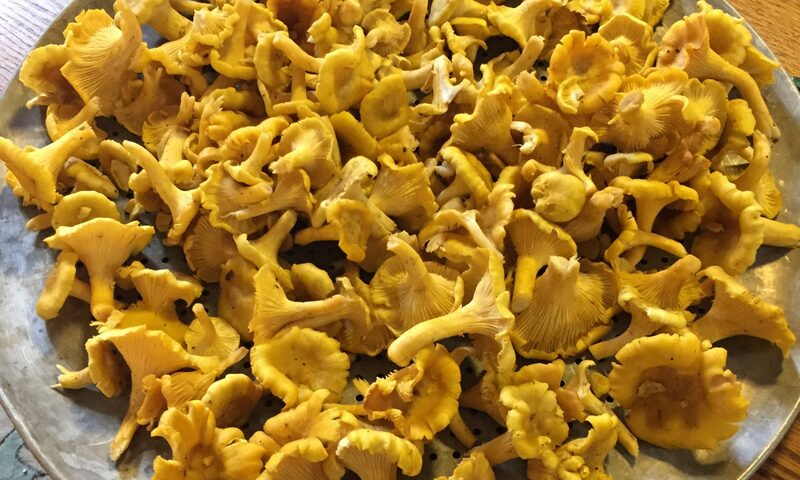 We haven’t decided on the menu yet, but offerings might include sweet & savory acorn flour crepes (with wild mushrooms and fruits), wild nut coffee cake, quiche with foraged greens, pork loin with hickory nut / crabapple compote, Forager’s Bloody Mary, and more, or not more, or other things. We’ll see what gets gathered! The brunch will take place on Saturday, October 13th, from 11 a.m. to 2 p.m., in the back yard at 3708 Odana Rd. The cost is $35 per person, or $60 for a pair. We’ll only have room for 25 people, so get your seat while you can! We think the PayPal/Wordpress interaction might be a little clunky (we know we need to finesse our competence with it). If you need to propose other payment methods, please get in touch with us via our “Contact” form, or at whatgotgathered@gmail.com.